Meal courtesy of Global Street Food Kitchen. 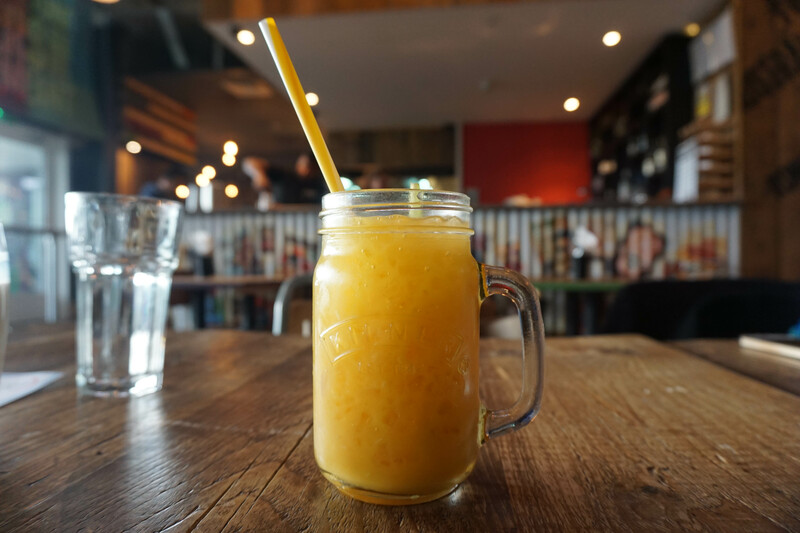 Situated in a restaurant/ shopping complex by the large Hounslow Asda, Global Street Food Kitchen is easily accessible from 2 different Hounslow tube stations and a nearby car parking area. 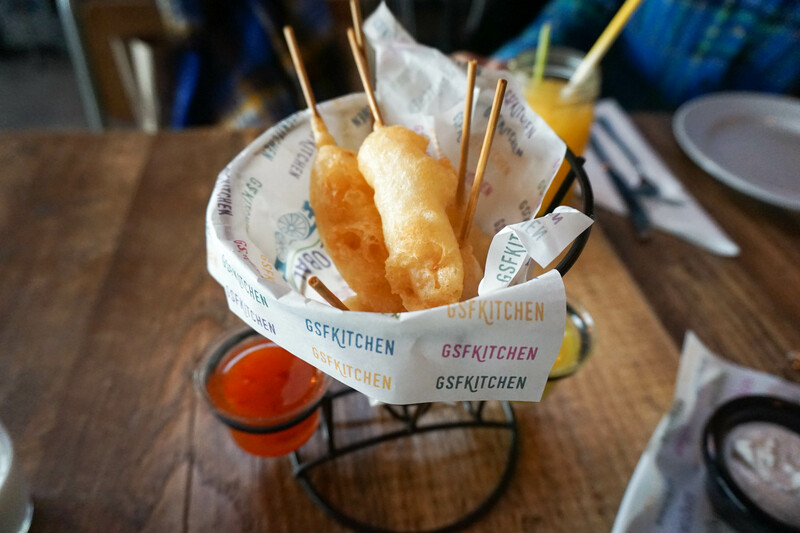 Focuses on the quality and the sourcing of its ingredients over a variety of cuisines, the concept of Global Street Food Kitchen is a unique one. The open kitchen is a visual highlight of the restaurant whereby you can witness the experience and array of skills each chef has. 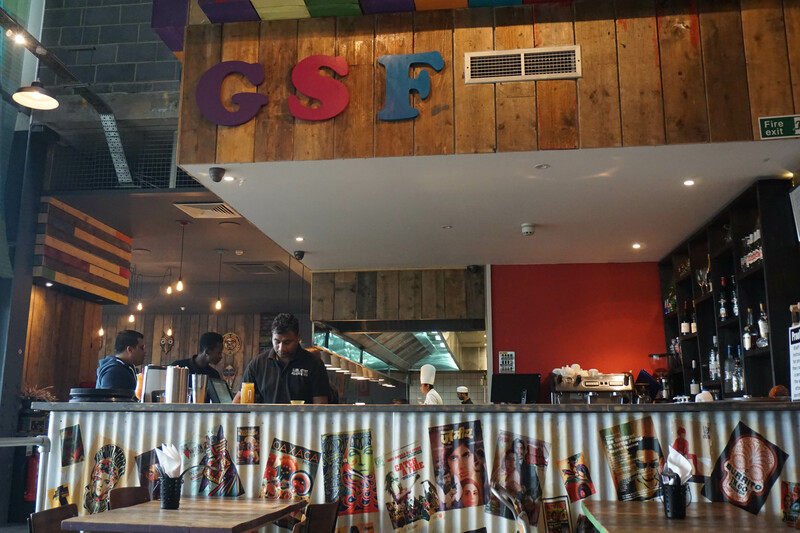 Online reviews have highly rated GSFK as one of the best in Hounslow, a restaurant suited for locals and foodies alike. Albeit not in the centre but one worth going if you’re within arm’s length! 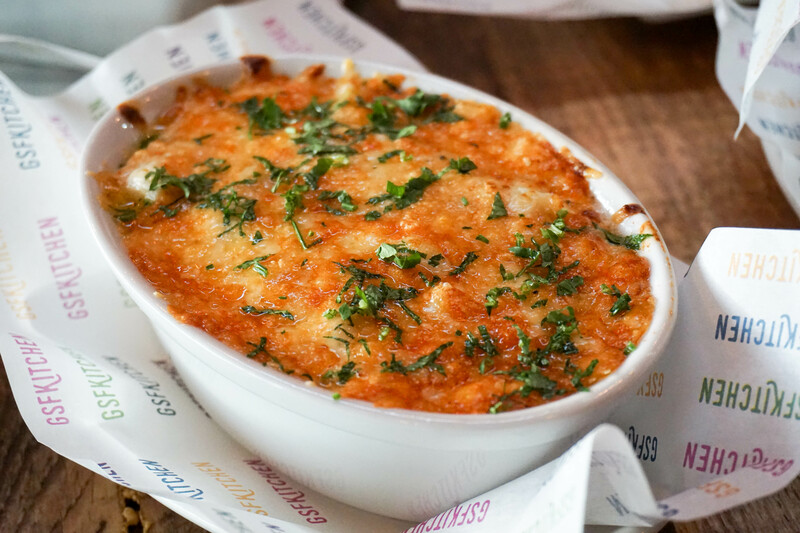 Dishes here work differently to your normal a la carte menu, with 6 different types of cuisines under one restaurant, there is no difference between its starters or mains. Simply put, its multi-cuisine style tapas! 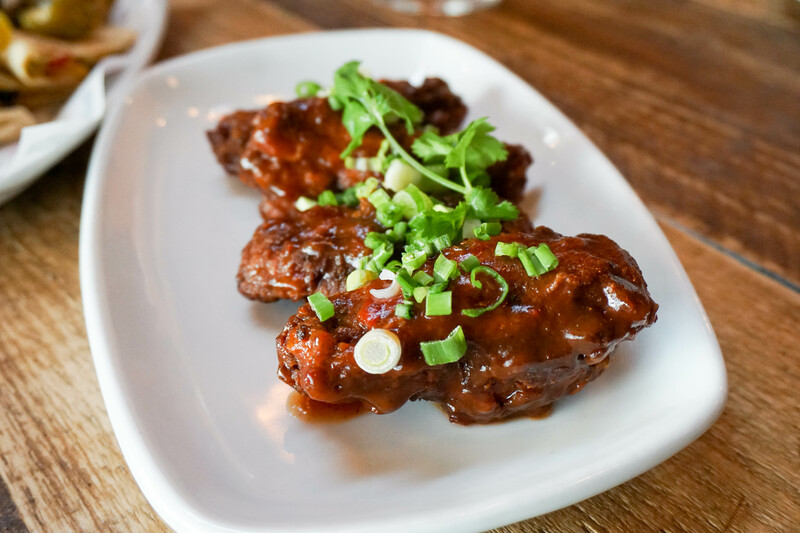 The wings here albeit only 3, were presented neatly and coated with crisp spring onions and plenty of flavour. 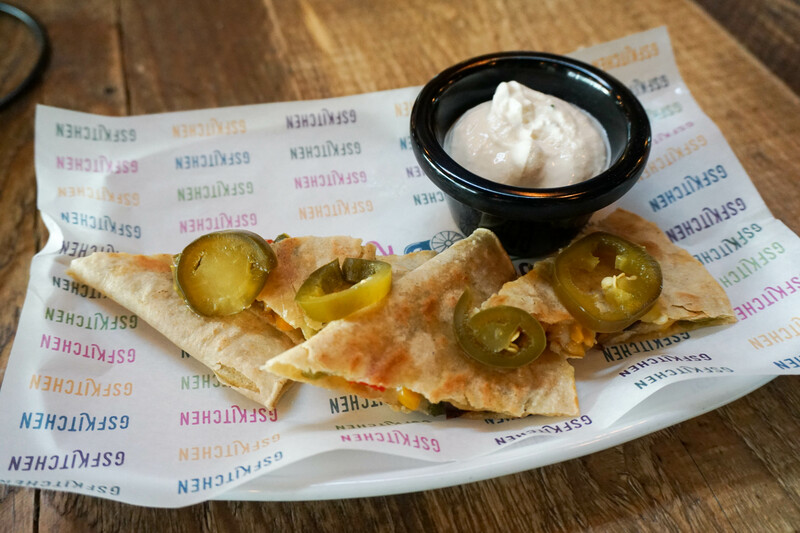 The quesadillas were light and thin but did not hold the crisp texture one would usually get. 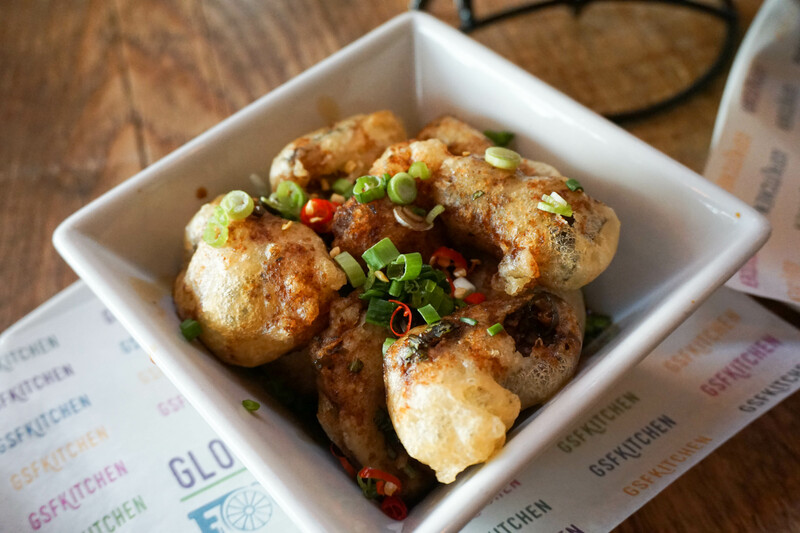 Delving into some Chinese cuisine with some battered dishes. First namely, the Prawn tempura, did not hold much oil (which is good ) and prawns were aromatic especially being paired with carefully chosen dips. Opinions for the aubergines were divided, I particularly loved it, whereas Louise wasn’t a big fan of the soy sauce that complemented with it. The concentration of soy however was only towards the bottom of the dish which wouldn’t be too unreasonable considering how runny the sauce is. These arancinis were filled with Arborio rice & cheese, these are also called ‘little oranges’ as part of traditional Sicilian street food dating back to the 10th century. 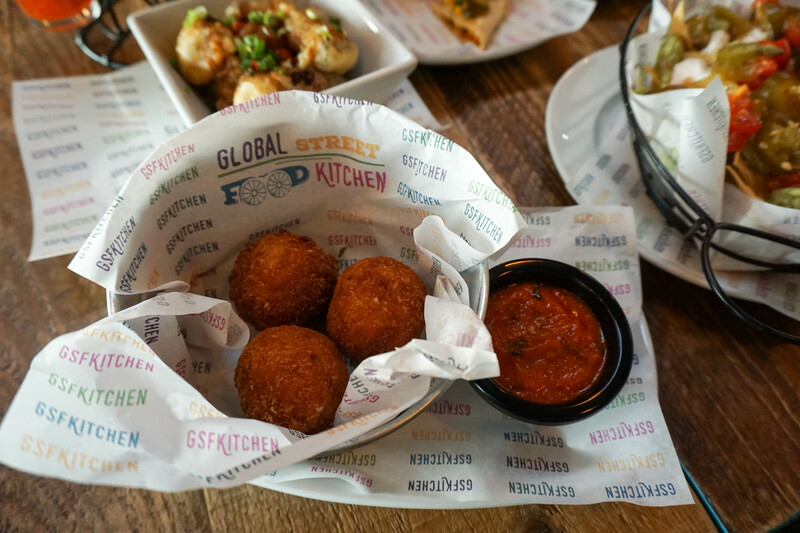 A little twist to these and not your usual arancini balls from Pizza Express, or Arancia and is something for those with an acquired taste. 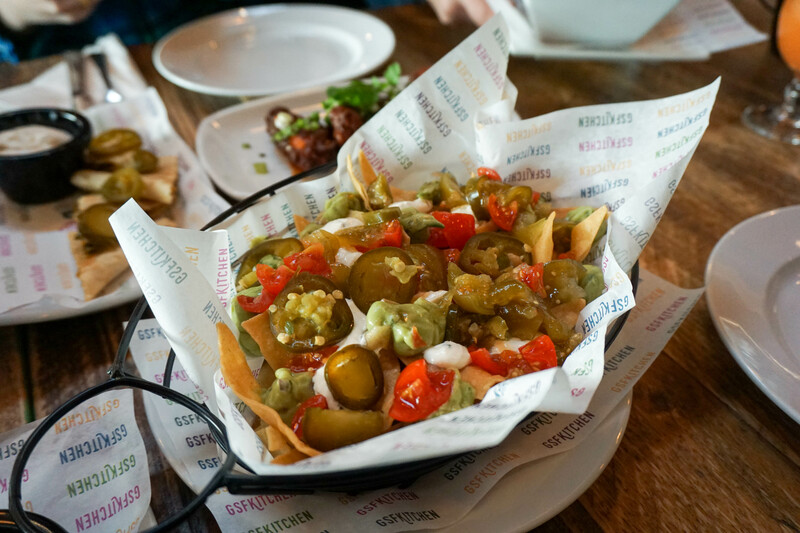 Another GSFK take on nachos, freshly made and a very generous portion for only £4.00. 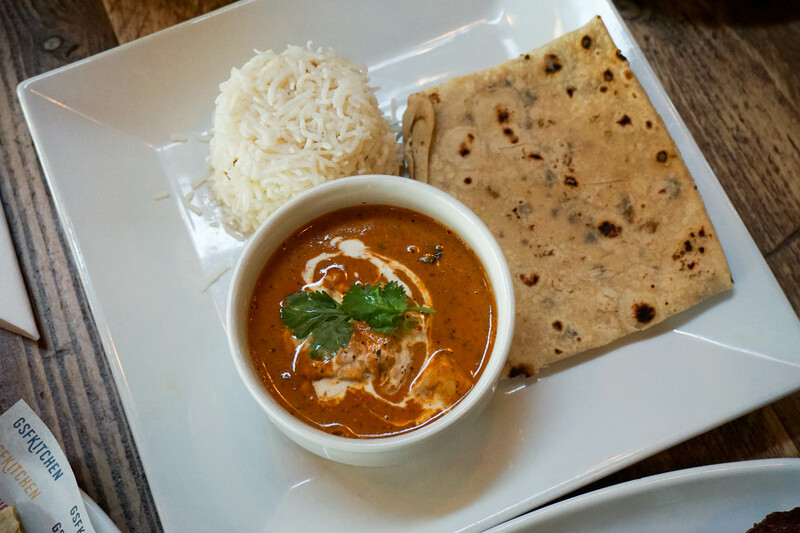 You’ll find the dishes here are priced very reasonably and good value for money. The two above were my favourites. Baked cauliflower and broccoli, you can argue that its healthy! Baked with ‘wintery cheese sauce’ and made crisp at the top. Perfect. 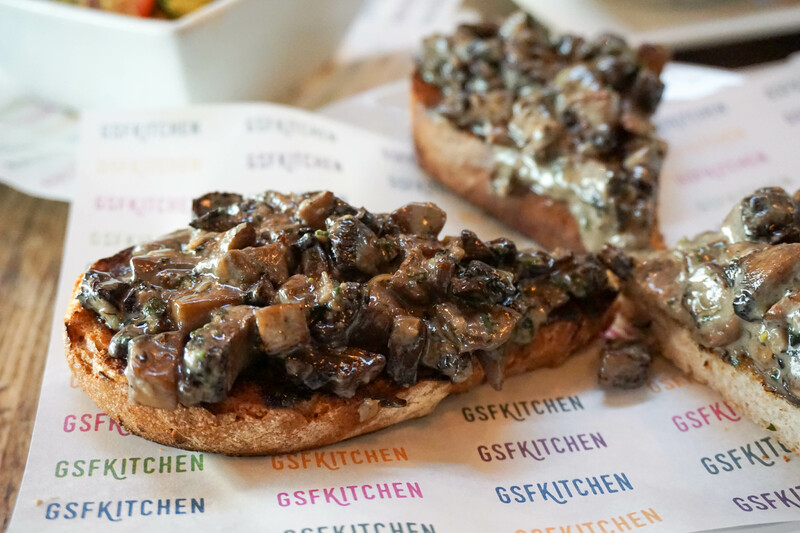 The mushrooms on toast was everyone’s highlight of the day, Portobello mushrooms with shallots, cream & parsley, served on sourdough bread. The cream complemented the mushrooms and bread well, allowing the transition in texture to flow well. From soft to crispy. 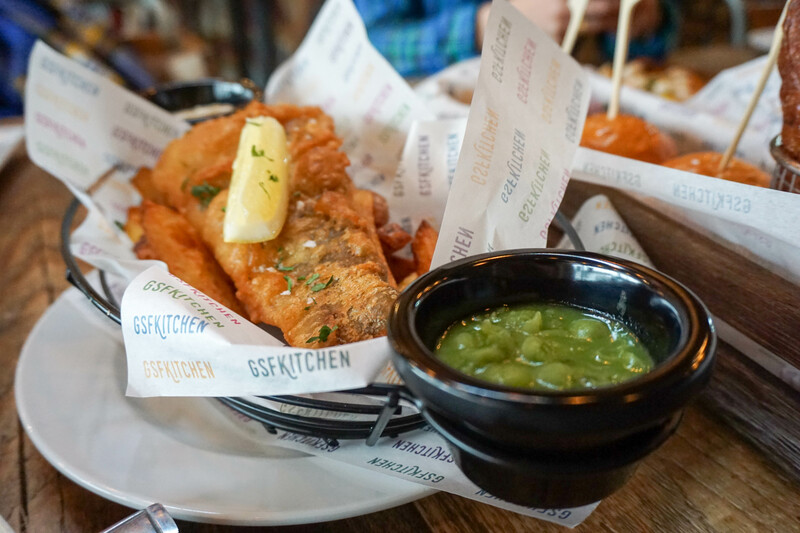 Classic American and British food done GSFK style, the fish was cooked very well and held lots of flavour, if we weren’t so full I’m pretty sure we would have finished this in one go! 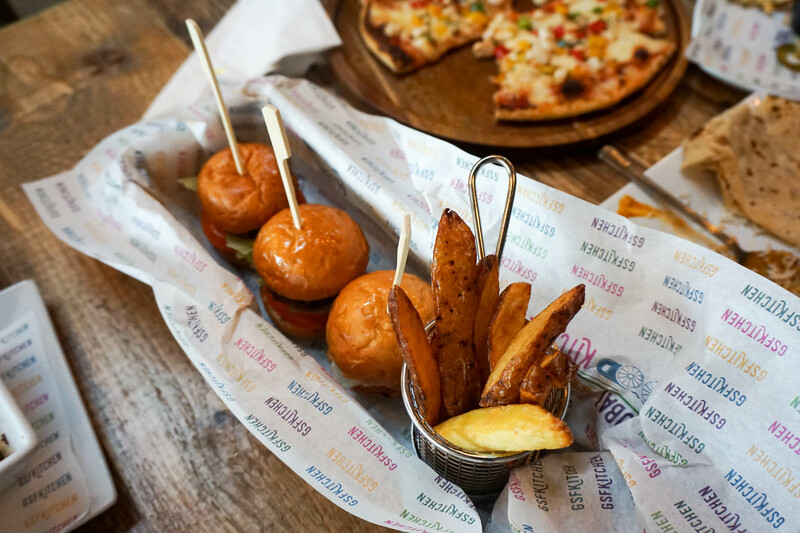 Hand cut triple cooked chips can also be ordered as a side, meaty with the extra crisp. 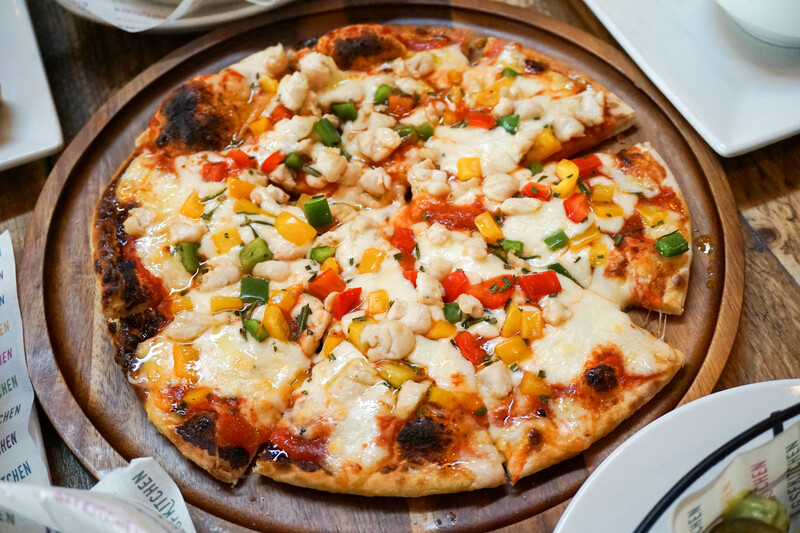 Unfortunately I did not favour the take on the pizza at GSFK, we had peppers, rosemary and chicken but yet the full aroma did not come out well enough, personally, the dough base was also too thin for me. 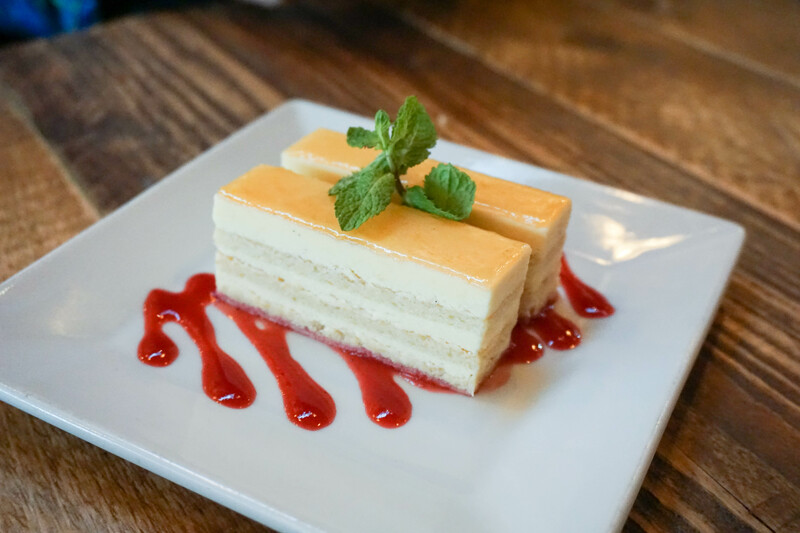 You can’t leave GSFK without trying their desserts. 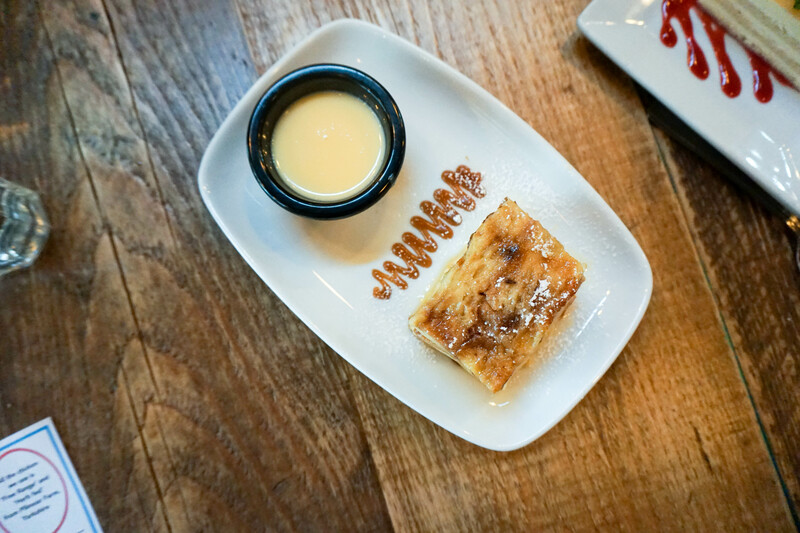 The bread and butter pudding served hot with caramel on the side to suit your taste buds! 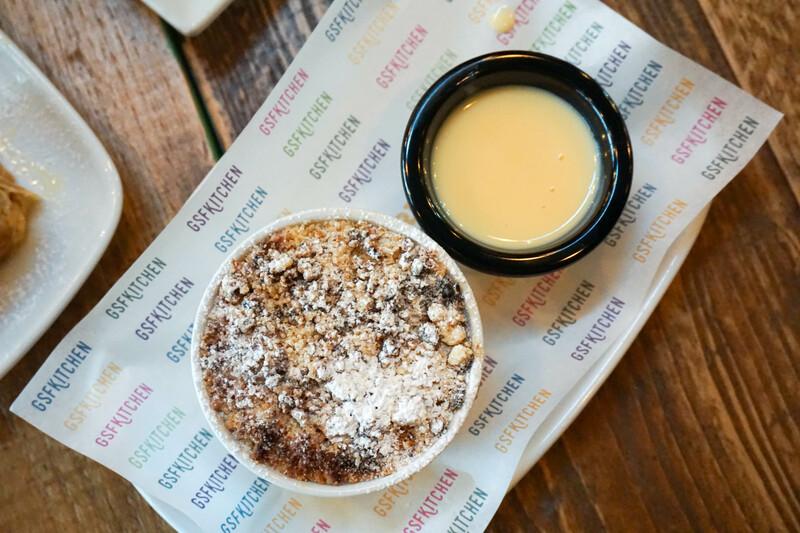 Nothing can go wrong with apple crumble and custard, an English favourite, an Eatwithsteph favourite, and a GSFK favourite too.